Over the past 30 years, Erdmann has done more work in this quaint, upscale town than in any other community. Our projects here include a wide range of beautiful interior remodels and home additions, as well as high-quality siding, roofing, and window and door installation. 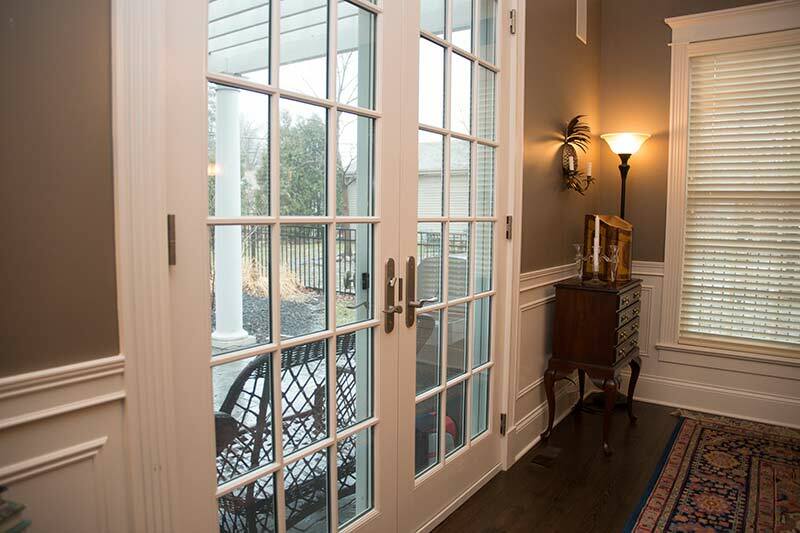 Barrington residents know that Erdmann lives up to its reputation for excellent design, expert workmanship, attention to detail, ability to meet or exceed deadlines and outstanding customer service. What types of projects have we done in Barrington? Kitchen Remodels. At Erdmann, we understand that the kitchen is the heart of the home — the room where family and friends gather to prepare and enjoy meals, where your family organizes its busy schedule and where friends assemble. That’s why our kitchen projects are designed to fit your family’s lifestyle. We create a layout that maximizes your space, your vision and your budget. Bathroom Remodels. Your day begins in the bathroom; don’t you deserve to wake up to luxury? Erdmann understands the complexities of bathroom renovation, we know what styles are trending, and we specialize in fitting your new bathroom’s function and design into your family’s lifestyle. That’s why so many of your neighbors rely on Erdmann to create the bathroom of their dreams. Additions. We do a lot of additions in Barrington. Residents love living here and prefer to add on to their homes when they need additional space than to consider moving to a larger home in another location. Whether you’re dreaming of a luxurious master bedroom, a large chef-style kitchen or a beautiful, airy sunroom — or any other type of addition — Erdmann makes it happen. Interior Renovations. Erdmann specializes in home improvements, including layout changes. We have divided large rooms into small rooms, combined small rooms into a large one, added storage areas and so much more. Our goal is to design and remodel your home to fit your family’s lifestyle and your personality — while making you relaxed and comfortable in your new home, even during the renovation process. Barrington homeowners generally have large lots with great views, which is why Erdmann has designed and built numerous outdoor kitchens, dining rooms and living rooms in this community. Our attractive, functional outdoor spaces extend the home’s style and function from the inside to the outside, adding luxurious living space while creating a peaceful backyard retreat. We guarantee that we do exterior projects right! We offer a LIFETIME Workmanship Warranty on exterior remodeling workmanship in Barrington, so if you find an issue with our work, we come back and make it right. In our 30+ years of serving the Barrington area, we’ve done a lot of projects, and we’ve seen it all! From fixing other remodelers’ recent mistakes to renovating the exterior of hundred-year-old homes, we know how to turn difficult jobs into attractive, energy-efficient and functional exteriors. Plus, our Arlington Heights office is just a 20-minute drive down the road, making overseeing your work quick and convenient. We take pride in what we do because we know how brutal Illinois winters (and even summers) can be on your home. Temperatures in Barrington can reach as high as 103 degrees and as low as -27 degrees, so having a home with a quality exterior is key. Siding. New siding can drastically transform and protect your home. We offer vinyl siding, fiber cement Hardie Plank siding, cedar, fascia, soffits and more. We are a Preferred Remodeler for James Hardie® siding projects, and this company’s fiber cement siding offers durability, style, low maintenance, a product warranty and a superior return on investment. Roofing. Our craftsmen install shingles, cedar, shakes, tile and slate. We’re happy to provide a free in-home consultation to evaluate the remaining lifespan of your current roof and help you decide which roofing style to use if replacement is necessary. We offer many roofing services, including roof repair and replacement, flashing installation and repair, shingle replacement, gutter and downspout replacement, and roof inspections. Replacement Windows. Quality new windows are an investment in your home, and having an expert install them is an important part of that investment. Style and energy efficiency are the two top criteria most of our customers are looking for, and we’re skilled at installing top-of-the-line Marvin and Beechworth windows. Exterior Doors. Replacing your drafty old doors with new exterior doors increases your home’s curb appeal, security and energy efficiency. At Erdmann, we specialize in Marvin doors, which combine the above benefits along with an outstanding product warranty. We also replace garage doors.